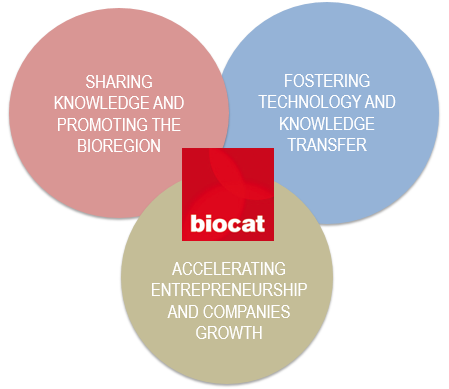 To create tools and strategies for improving the knowledge of the Catalan life sciences sector and increase its projection both at home and abroad, with the aim of converting it into an international reference. To create spaces for reflection and debate. To cooperate with the different public and private agents of the system to promote policies aimed at increasing the competitiveness of the sector. To support and carry out activities that allow to put in value all the knowledge and technology generated in the sector. To create and execute programmes and initiatives that develop talent and entrepreneurship considered essential factors for the growth of the sector. To help internationalization of the companies in the sector and facilitate their access to financing.